Wicked Colors are multi-surface airbrush paint s suitable for textile, automotive & hard-surface, canvass, paper, plastic, wood and more. 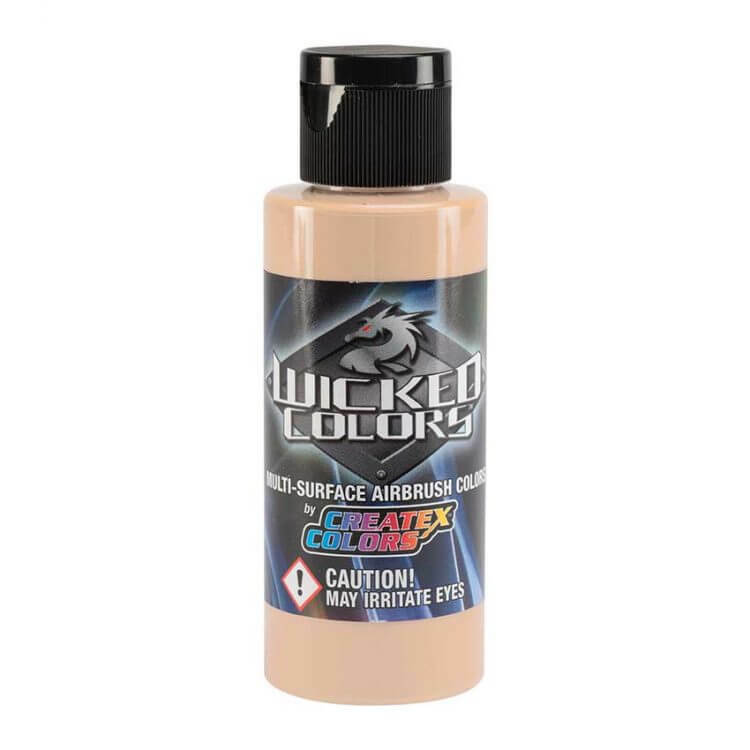 Wicked Colors are transparent colors with a high pigment for excellent coverage out-of-the-bottle yet can be over-reduced in generous amounts to make thin, transparent colors perfect for detailed, low psi airbrushing through small tip-sizes. Wicked Colors are made with lightfast pigments and an exterior-grade resin which dries semi-gloss and is universally compatible with all types of primers, paints and clears. Wicked Detail Colors are multi-surface airbrush paint s suitable for textile, automotive & hard-surface, canvass, paper, plastic, wood and more. Compared to regular Wicked Colors, Wicked Detail Colors are more transparent colors out of the bottle and a less viscous. Wicked Detail Colors also dry to a matte finish, perfect for illustration and mural artwork. 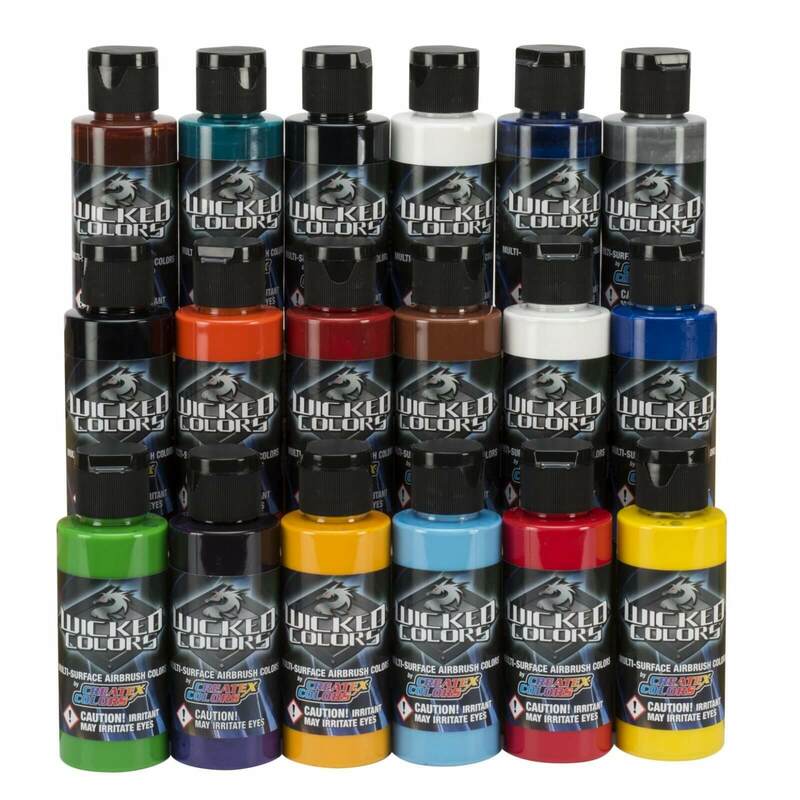 Wicked Detail Colors cover well out-of-the-bottle and can be over-reduced in generous amounts to make thin, transparent colors perfect for detailed, low psi airbrushing through small tip-sizes. 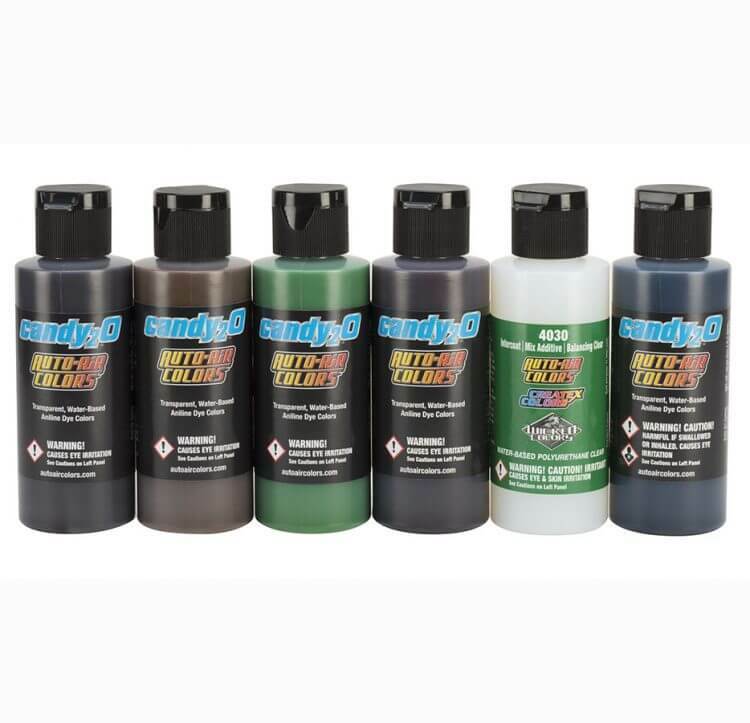 Wicked Detail Colors are made with lightfast pigments and an exterior-grade resin which is universally compatible with all types of primers, paints and clears. Wicked Fluorescent & Pearlized Colors are multi-surface airbrush colors suitable for textile, hard-surface, canvass, paper, plastic, wood and more. 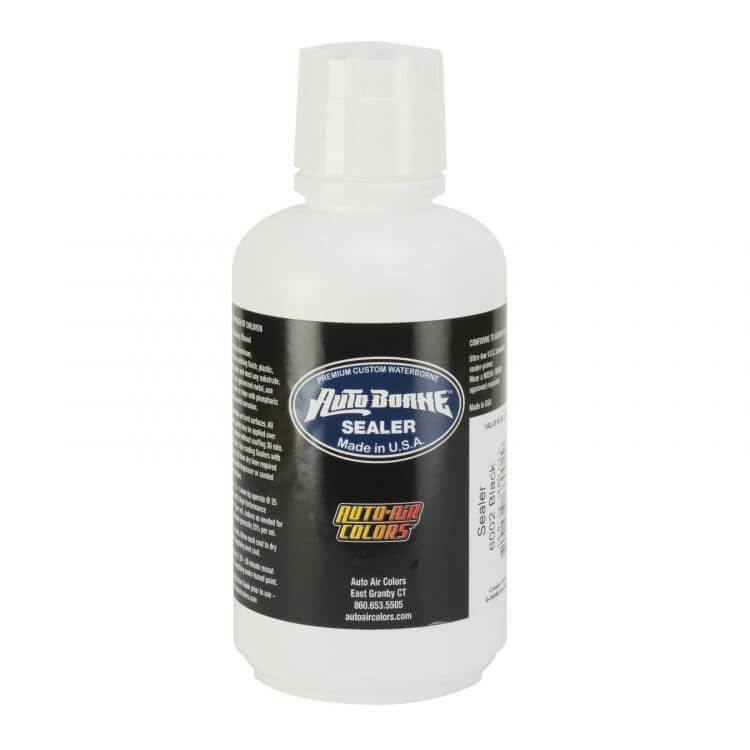 Each are made with an exterior-grade resin which is universally compatible with all types of primers, paints and clears. For best results on hard-surface & automotive applications, mix with 4030 Intercoat 10  25% per volume. For best long-term color, apply fluorescent over a color-keyed base such as AutoBorne Sealers.